There are alot of new green bathtubs refinishing methods being adapted to the industry using UV technology. The best articles on the web are actually written and researched by the PBRA (professional bathtub refinishing associatiom), in which we are members of. In order to develop our own Green method we had to do all the research before we began the development. Always wanting to stay up on the latest techniques in the refinishing industry the PBRA performed beta testing for this industry by the largest and leading manufacture in the UV industry. The PBRA has developed our own green methods of refinishing and will continue to release them as they become available. Bathtub refinishing is the best green remodeling alternative to replacing old fixtures with new ones. When compared to replacement refinishing the savings have always included saving money, time, trees, energy and the landfills. With green bathtub refinishing, old sound fixtures are refinished on site, thereby saving the landfills of more junk. It is interesting to note that more materials go to the landfills during a remodeling project than during new construction. Such materials or fixtures include porcelain and steel bathtubs, sinks, cabinets, bathtubs countertops, vanity tops, end up in landfills. Bathtub refinishing is a welcome alternative to replacing, since most attitudes towards landfills are "not in my neighborhood." The national Association of Home Builders (NAHB) estimates that the total waste generated from improvements or replacement home remodeling projects, to be 31.9 million tons of garbage per year. In the U.S., the waste coming from construction and demolition debris account for 20% of all landfill waste; 43 % (58million tons) of this total is from residential construction, demolition, and renovation projects. 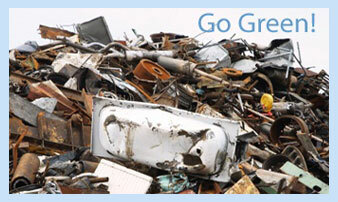 The number of landfills in the U.S.; is steadily decreasing – from 8,000 in 1998 to 2300 in 1999. Disposal costs are high, resources are needlessly wasted and we are running out of landfill space. bathtub refinishing is therefore very needed in saving the environment. Green remodeling, when applied with bathtub refinishing techniques, produce the result appreciated by those interested in green living. And creating new landfills is limited due to the protests of area residents near proposed sites. As a result of landfill limitations, the disposal costs are soaring to an average of 2 to 5 % of the overall budget costs, or $511 per house for construction disposal. Alex Wilson, editor of Environmental Building News, describes construction and demolition (C&D) waste as "one of the most daunting challenges we face in the construction industry. Bathtub refinishing has always been good for the environment even before the going green craze. The reasons are many but cost is lower than replacing as the process involves the existing fixture thus avoiding the landfill. And with all the concerns about global warming, greenhouse gases and ozone levels, we see that surface restoration has a substantial contribution in saving the environment. Green refinishing saves some vantage and precious wood furnishings, cast iron bathtubs and antique claw foot tubs that have great value from clogging the landfills, but instead are reused. One of the greatest benefits of bathtub refinishing is the number of trees that are saved each year because the countertops and cabinets are refinished and not replaced. Trees take a long and wasteful journey from the forest to our homes. And throughout this journey the environment is polluted, energy resources are wasted and the greenhouse effect is increased. A carbon footprint is a "measure of the impact human activities have on the environment in terms of the amount of greenhouse gases produced, measured in units of carbon dioxide". The idea is to have a way to measure how the activities of individuals, nations and organizations contribute to global warming. There are many things each of us, as individuals, can do to reduce our carbon emissions. The choices we make in our homes, our travel, the food we eat, and what we buy and throw away all influence our carbon footprint and can help ensure a stable climate for future generations. All activities involved in producing new fixtures impact the environment adversely. With bathtub refinishing, carbon footprints for individuals, hotels, apartments and government agencies are drastically reduced. Identify your hot-spots in terms of energy consumption and associated CO2-emissions. Where possible, change from another electricity company to buying electricity from renewable sources (from wind turbines, solar panels or hydro electrical plants -or- from nuclear power plants. Maximize your energy efficiency and, thus, reduction of CO2-emissions and reduction of other GHG emissions.Identify solutions to neutralize the CO2 emissions that cannot be eliminated by energy saving measures. This last step includes carbon offsetting; investment in projects that aim at the reducing CO2 emissions, for instance tree planting. By using bathtub refinishing, you can do your best in reducing your carbon footprint as your best green alternative to remodeling. A single mature tree can absorb almost 50 pounds of carbon dioxide a year and produce enough oxygen to sustain two adults. If every American family planted just one tree a year, it would remove more than a billion pounds of carbon dioxide from the atmosphere annually – which in 1992 was about 5% of the world wide output. Trees absorb all kinds of pollutants, like sulphur dioxide from coal burning power plants, nitrous oxide from vehicle exhaust, and particulate pollutants from burning fuel, especially diesel fuel. A mature tree can absorb 120 to 240 pounds per year. Trees are natural air conditioners that keep cities cooler. Just one large, healthy tree has a cooling effect that is equivalent to 10 room-size air conditioners running for 20 hours a day. Trees cover can reduce asphalt temperatures by as much as 36o F and the interior temperature of parked cars by more than 47o F.
Trees reduce noise pollution by absorbing sound. Trees reduce storm water run -off and erosion by up to 7%. In urban areas, this can save some of the tax dollars spent every year on installation, materials, clean up, and maintenance of water drainage systems. Trees increase property values. Homes that are landscaped, especially with trees have a value that’s 5 to 9% higher than that of an equivalent homes that don’t have good landscaping. Commercial real estate in wooded areas is more valuable. Apartments and offices surrounded by trees have higher occupancy rates. All you have to do is turn on the television and you will see just about every industry trying to capitalize on the "Going Green Craze." Is it necessary to go green? Is it fashionable? Is it politically correct or a combination of all three? As a professional bathtub refinishing organization that relies on the use of chemicals to perform our jobs, we sometimes have to weigh performance against popularity. I’m sure many industries have to find a compromise to find that balance. Copyright 2012 All Bright Tub Refinishing LLC. All rights reserved.